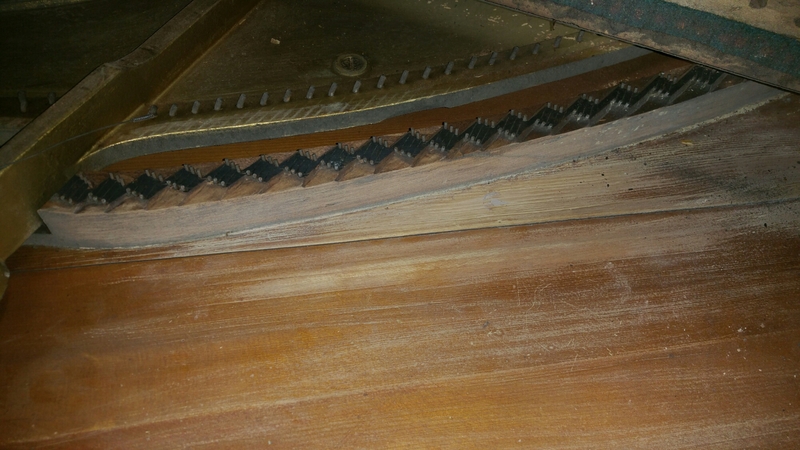 I got this piano in from a piano retailer who is doing this for an insurance company. 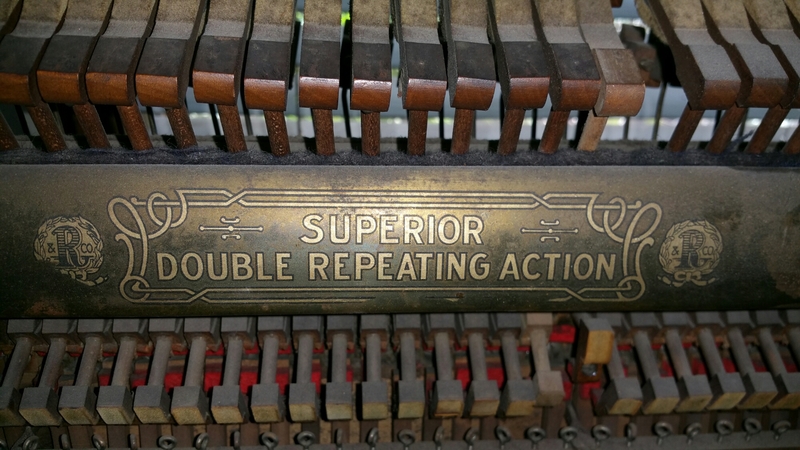 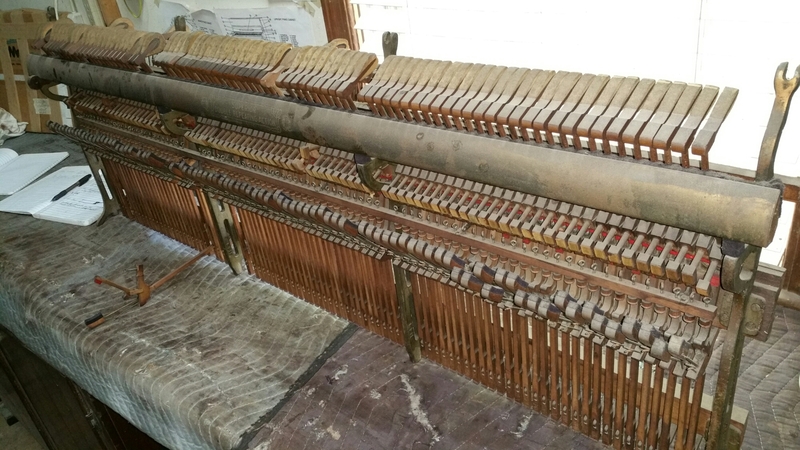 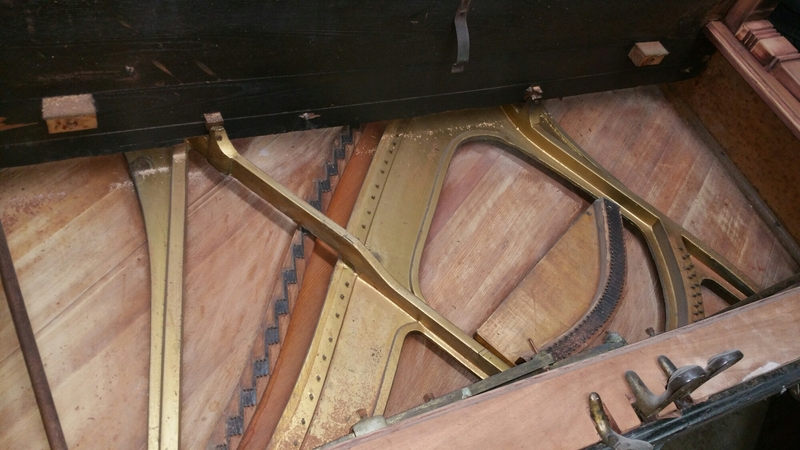 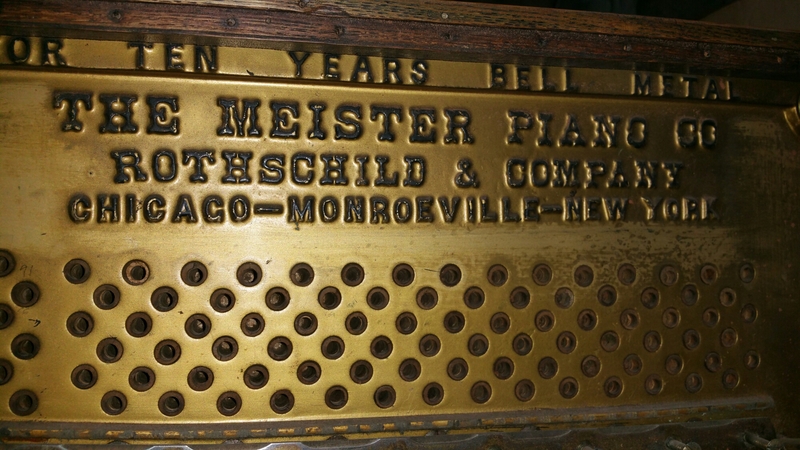 The piano will need the soundboard repaired, plate regilded, strings replaced, hammers replaced, and dampers replaced. 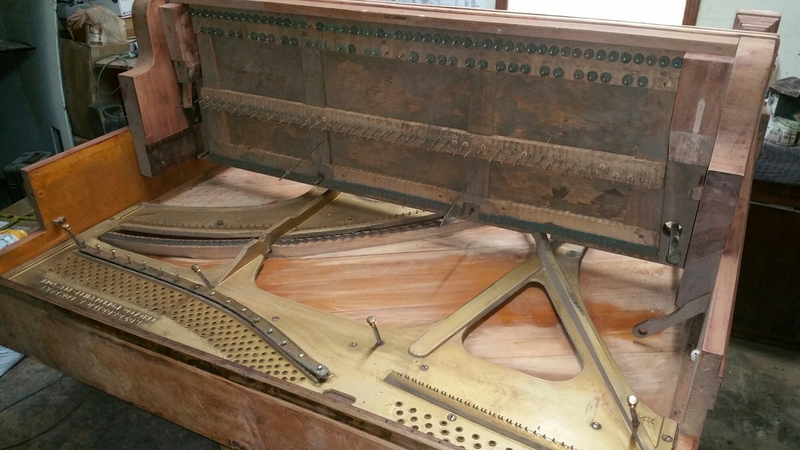 I will not do any finish work on this piano.